PUTRAJAYA: The government will expedite the process of appointing 10 cabinet ministers to allow the swearing-in ceremony and the Dewan Rakyat sitting to take place as soon as possible, says Prime Minister Tun Dr Mahathir Mohamad. 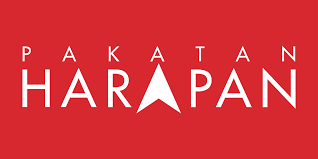 The Pakatan Harapan (PH) chairman said the first phase of the government formation with the appointment of 10 cabinet ministers should be announced this week in order for the government to carry out its tasks including holding a cabinet meeting. “The government can hold a cabinet meeting with just these 10 people before the 15 other positions are filled up to make up the full cabinet of 25 ministries. “As this will take time, there is a need for us to hold the Dewan Negara sitting as soon as possible so we will try to convene the Dewan Rakyat and hold the oath-taking ceremony soonest,” he told a press conference at the Perdana Leadership Foundation here today. Dr Mahathir said efforts to expedite the ministerial appointment process was also crucial so that laws which needed to be repealed could be studied and matters relating to government policies could be implemented as soon as possible. The Prime Minister said among laws to be reviewed were the Goods and Services Tax (GST) Act, the Anti-Fake News Act 2018 and laws that restrict the freedom of speech. “We have no intention of maintaining the Anti-Fake News Act but we need to study it too. “All these, the GST, Anti-Fake News as well as laws on national security and other related laws which restrict the freedom of the people would be reviewed,” he said. Last Saturday, Dr Mahathir announced three key ministers, namely DAP secretary-general Lim Guan Eng as Finance Minister, PPBM president Tan Sri Muhyiddin Yassin as Home Minister and Amanah president Mohamad Sabu as Minister of Defence. Meanwhile he said, all four PH component parties PKR, DAP, PAN and PPBM have submitted their list of candidates for ministers and deputy ministers. When asked on participation of women in the Cabinet, the Prime Minister said the number has not been fixed but female parliamentarians who qualify would be considered. On commencing work at the Prime Minister’s Office at Perdana Putra, Dr Mahathir said he would probably report for duty there next week. Since he was sworn in as Prime Minister last Thursday, Dr Mahathir had been operating from the Perdana Leadership Foundation building here where he held several meetings as well as received a courtesy call from the Sultan of Brunei, Sultan Hassanal Bolkiah. On the release of Datuk Seri Anwar Ibrahim today, he said the PKR de-facto leader would play a role in the party as he was not a member of parliament. “Tomorrow I hope to have a presidential council meeting. If there are going to be any changes involving Anwar, the council will decide,” he said.